The Minnesota Department of Commerce licenses residential builders and remodelers. Re-modelers or Residential Building License in Minnesota: Who Needs One? Each re-modeler and building contractor who contracts together with a homeowner, in terms of improving or constructing dwellings to offer 1+ skills need to hold a license. The owners who work on their own personal property will also be required to hold a license if they plan on remodeling or building for a purpose of resale or speculation. Step One: Pass each part, the Trades and Business/Law, of the Roofer, Re-modeler, or Contractor Licensure exams for Minnesota. This is a 110 question test that includes Business and Trades questions. Step Two: Send your application to Minnesota Department of Labor and Industry to obtain your license. Step Three: Obtain the right insurance. The exam will be through Minnesota Department of Labor and Industry (DLI). You will be able to send your application through the mail, with a $50 application fee, or you can submit your application online. The exam can be taken at DLI offices within the St. Paul area, and sites in St. Cloud, Owatonna, Granite Falls, Detroit Lakes, and Duluth. This examination will include 110 questions, which will be multiple choice, 50 questions regarding business and law, as well as 60 questions related to construction. You are required to get a minimum of 77 questions right. Each applicant will have four hours to complete the entire exam. The exam is separated into two different sections. The first section relates mainly to construction and the second relates to running your own construction business. 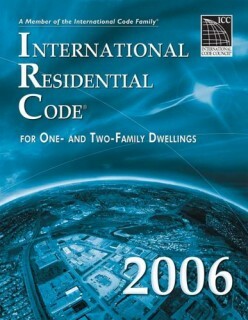 You are allowed to have a copy of State Building Codes to use as a reference during your examination. Contractor Continued Education: Is it a Requirement in Minnesota? The exact same CE course can’t be taken more than once in each licensing cycle. 14 hours of continuing education, along with one hour of energy code is required to be completed once every two yeas. There is no lead paint requirements for continued education. Many of the re-modelers and builders in the state of Minnesota typically renew on March 31st of each year. Taking the Same Class Twice: Is it Possible to Still Get Credit? You are able to take the same exact class again, only if it is within a separate licensing cycle. No credits can be earned if the course is within the same licensing cycle. NASCLA Commercial Contractor License: Is it Accredited Within Minnesota? General Contractor, Commercial Contractor License: Does Minnesota Require It? The Department of Labor and Industry licenses residential building contractors, remodelers, roofers and manufactured home installers. The department requires certain standards of education and professional conduct be maintained to obtain and retain a license. Question: How do I register my construction company in Minnesota? What forms do I need to register my new company in Minnesota? Question: How do I look up a company in Minnesota or see if a company name is available to register?